TROY — RPI has suspended a visiting artist’s exhibition because of concerns it suggests violence against President Bush and may be based on the work of terrorists, a top administrator said Thursday. The move capped a chain of events — including claims the FBI was eyeing the artist — that began last month when the College Republicans blasted the arts department as “a terrorist safe haven.” The work that provoked that attack is Wafaa Bilal’s “Virtual Jihadi.” It’s the latest piece by a Chicago-based video artist who is testing the limits of academic freedom in a time of war at a Troy school that receives millions in Pentagon research funding. Bilal hacked into that game and created a work that puts “his own more nuanced spin on this epic conflict,” according to the arts department. 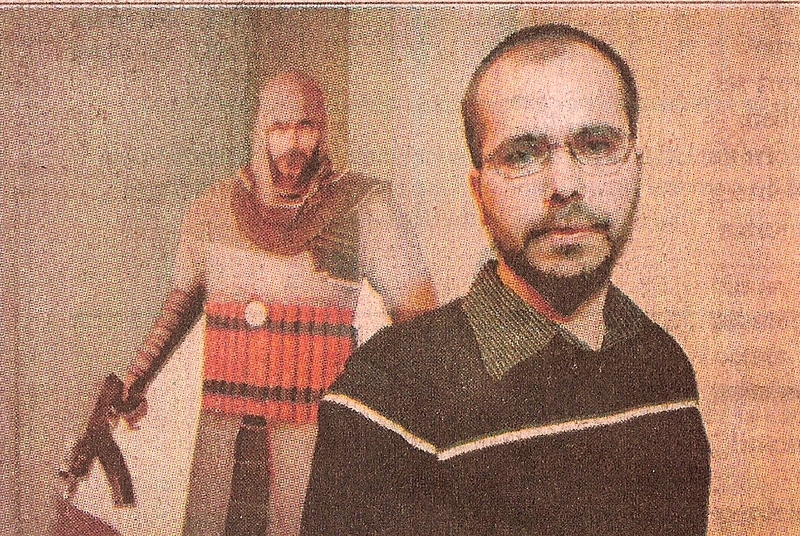 In Bilal’s version, unveiled at RPI Wednesday, the Iraqi-born artist casts himself as a suicide bomber who gets sent on a mission to assassinate President Bush. You can kill the President in his game, Bilal said. The College Republicans excoriated RPI for sponsoring the exhibit and encouraged alumni to speak against it. At least one graduate, Christopher Lozaga, voiced his disturbance in an e-mail to RPI President Shirley Ann Jackson. “So long as RPI sponsors these kinds of events, giving absolutely no consideration to military alumnus, friends and family of the university, I will not contribute a dime to the school,” Lozaga wrote. The controversy intensified Wednesday, when Bilal was scheduled to give a lecture and unveil his exhibit. The artist claimed that RPI officials, at Jackson’s behest, questioned him about the game. He said they also told him that federal agencies, including the FBI, planned to attend his event. RPI spokesman Jason Gorss would not comment on that claim, and Bilal said he was not questioned by law enforcement officials. Paul Holstein, chief counsel for the FBI’s Albany division, could not say whether any agents attended Bilal’s lecture. “I can state that there are situations where it would be appropriate for FBI agents to attend events which are open to the public if the FBI believes that there might be information relevant to national security,” he said. Gorss, the RPI spokesman, said no one would be available to comment beyond the statement. RPI student body president Julia Leusner argued that it was hypocritical of Bilal to depict the stereotype he was condemning. “If Bilal was making a point about the vulnerability of Iraqi civilians to the travesties of the current war, I failed to see it, as did every other student I spoke to,” Leusner said.